Wondering how to side braid your hair? It’s not any harder than a regular braid (promise!). Any sort of braid can be adapted to create a side braid, but a French braid style offers several options and is easy to DIY. A front French side braid begins with a side part. Start on the side of your head with the most hair and gather a small amount of hair from the top of your head and separate it into three different pieces. Begin to French braid your hair, eventually adding pieces from the other side of your part as you reach the end of your braid. A back French side braid begins on the opposite side of your head. 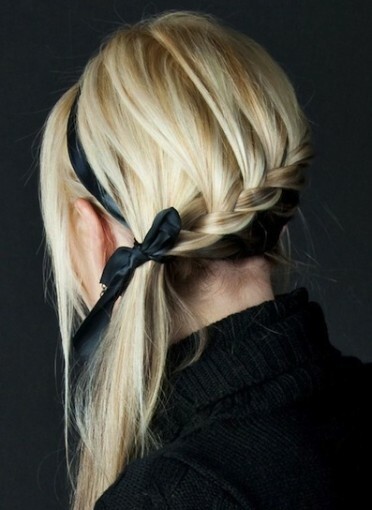 Gather three pieces of hair behind your ear and begin French braiding, weaving the braid around the back of your head. Once you’ve reached the other side of your head, finish off the braid and tie it with an elastic. Side braids are a romantic, simple way to look like you put a lot of effort into your hairstyle, when in reality it only took a minute or two. Now that you know how to side braid hair, try your hand at 10 of the best braided hairstyles. P.S. If you’re still at a loss when it comes to braiding, try watching these braiding tutorials for some tips.